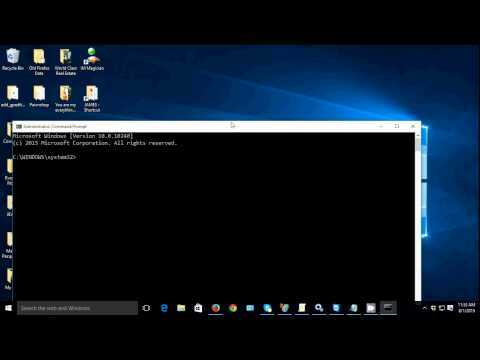 Enable Guest Account On Windows 10. 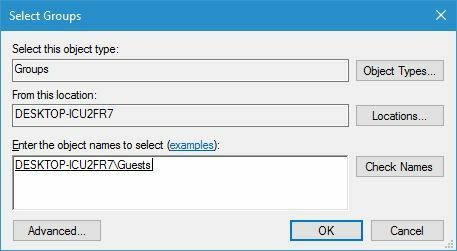 You Can Enable Guest Account Via Local Users And Groups, From User Account Control, Using Group policy or you Can use Command prompt To Enable Guest Account.... In the old PC settings on Windows 8.1, you were limited to three options, but in Windows 10, those options have been expanded to five and things have been rounded out quite a bit. To access the Accounts settings, you first need to open the Settings and click or tap “Accounts”. 19/03/2016 · If you're on the most recent version of Windows 10, you might have noticed that you can't create guest accounts like you used to. Here's a workaround to fix that problem.... » Resources » Windows 10 » How to Create Admin Account When Can't Sign in Windows 10 How to Create Admin Account When Can't Sign in Windows 10 In order to create a new user account on Windows 10, generally you need to sign in to an administrator account or a regular user account with administrative rights. Open that and you will see Windows folders such as System Volume Information, but the folder you want to open is the one named Windows, and then open the one within it called System32. Once you open the System32 folder and look for and right click on the utilman.exe file and choose Rename, and change it to utilman.exe.bak. In the old PC settings on Windows 8.1, you were limited to three options, but in Windows 10, those options have been expanded to five and things have been rounded out quite a bit. To access the Accounts settings, you first need to open the Settings and click or tap “Accounts”.